Ascot is in Berkshire and is held every year for 6 days a very popular event, and most people book at least a year in advance. 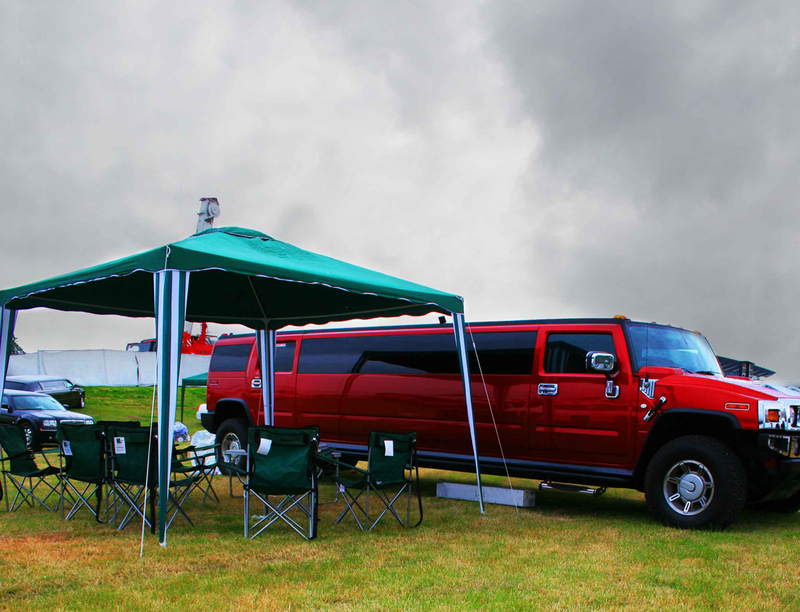 There are some fantastic limos and hummers at these events. There is usually at least 300, 000 people that visit the event. The Queen will sometimes visit they have a special Royal enclosure box. There is always very high security there but most people try to get in there, out of the 300,000 people that go there, there might be 2 or 3 people that are not drunk. You must check out the latest fashion at Royal Ascot the funny Hats. Its a good day its along day a lot of the time we pick our customers up at 8;30am in the morning you can go later but that is the usual time. When we get there the driver will put up the table and chairs and Gazebo. The customers will generally get there hamper out and have some sandwiches and if the drivers lucky he might get a sandwich. Then the customers will disappear off and get drunk and spend all there money. If however the customer wins then the driver can sometimes get a tip. Once the customers finish eating drinking and spending then they have to get out of the car park which can sometimes take a couple of hours so dont expect to be home before 10:30pm so its a long day but a good day and everyone has had a good time. 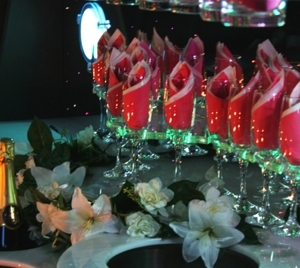 Hire a limo with Limo King number one for chauffeur hire, we have only the best vehciles . 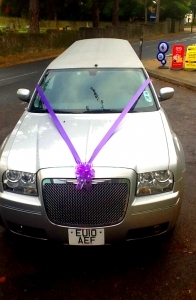 With our meticulous attention to detail we make sure that your Limousine hire is one to remember if its for a birthday a wedding a hen do anything we make sure its a limousine hire to remember.